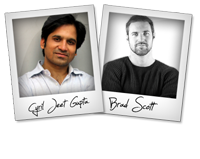 Cyril Jeet Gupta + Brad Scott – Tube Cash Jeet Launch Affiliate Program JV Invite, More. Welcome to the JVNP 2.0 Update featuring a JV request courtesy of fellow JVNotifyPro Partners Cyril ‘Jeet’ Gupta + Brad Scott (Tube Cash Jeet YouTube channel & video optimization course launch JVZoo affiliate program JV invite), JVNP 2.0 Free Video Training Content Series (Dush Ramachandran & Terra Goeres Ramachandran – We Need a Hero! ), Buzz Builders (Phil Benham – Blastoo!, Chris X + Ken O – Video Titan, Michael Baptiste – List Fire launches) and More … in Today’s the word on the street is Jeet for YouTube’s elite edition. Fellow JVNP 2.0 Partner, welcome to the Tube Cash Jeet JV. This product is a YouTube Course with 55 modules teaching your customers everything from Traffic basics to YouTube Keyword Research, Ranking and Optimization. >>> Watch The Tube Cash Jeet JV Video Featuring Brad Scott, Here. Cyril takes your customers by the hand and teaches them how to properly optimize their YouTube channels, video titles, descriptions, tags and more in order to gain more subscribers, more video views and ultimately more customers using the power of YouTube Video Marketing. Between Cyril and myself we have multiple YouTube channels that get millions of views. When we saw each others YouTube stats we knew we had to team up for this launch. This launch is going to be backed by some serious proof as well as tons of great testimonials from Cyril’s Udemy customers who have nothing but positive things to say about this course. 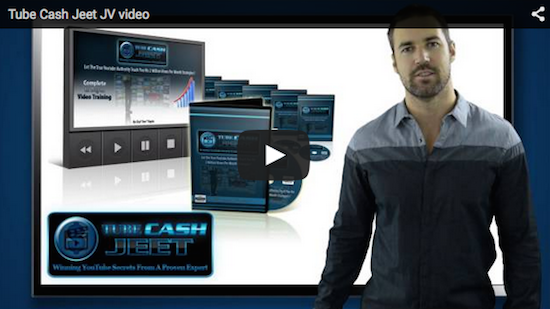 Also covered in Tube Cash Jeet are the newly released YouTube tools that are game changers for 2015! Your customers are going to eat this product for breakfast, lunch and dinner then come back asking what’s for dessert! Let us know if you need anything for your Promotion. We are here to help you have a successful campaign! >>> Visit The Tube Cash Jeet JV Page For All The Details. Dush Ramachandran & Terra Goeres Ramachandran – We Need a Hero! Blastoo! is an absolute moonshot product! The whole funnel converts like it’s on steroids! That’s to be expected since Phil has released 3 six-figure products in the last 12 months. Blastoo! is that product we’ll all be talking about months from now… the one that lit the IM industry on fire! Blastoo! JV page. Got a Video or JVZoo list? Chris & Ken launch “Video Titan” on JVZoo – this July 13th. Earn up to 60% with $10,000 of cash prizes up for grabs! Video Titan JV page. Get started promoting this high converting wordpress software funnel. List Fire helps your subscibers create GURU style landing pages in just minutes. Earn up to $152.25 per click, and win up to $1,000 in cash prizes. Sign up below and get started promoting right away. List Fire JVpage. Our launch in February did $11.4 million in sales and $5 average EPC (on RAW clicks) … And Now We’re Back!! Earn $500 comms, massive conversions, top notch product, and the easiest prizes you’ll ever win! (no need to “beat” anyone to win) Learn more or sign up here … List Academy JV page. Dianna & Shadi are back with InstaNinjas: Deluxe Edition, a comprehensive course that teaches students how to go from ZERO to 50,000 Followers on Instagram and Monetize on the followers … a powerful, proven yet simple way to increase traffic. With over $3500 in Contest Prizes and Proven funnel after the beta launch, this promotion will be bigger and more lucrative. InstaNinjas: Deluxe Edition JV page. Come and Ride The Cash Avalanche to massive commissions. My system has generated my company nearly $90 million and paid out over $35 million in affiliate commissions! Will you be part of the next $35 Million pay-out? Cash Avalanche JV Page. Joey Xoto is back with an incredible video marketing tool called InstaThumbnail! A fantastic desktop application that allows users to create stunning video thumbnails for all their video content – a powerful, proven yet simple way to increased traffic and clicks to your customers videos! InstaThumbnail JV page. World class Keyword Research and SEO tool with long track record of BIG launches. Up to $200 per sale with 50% commission on the front end, OTO and every rebill PLUS commission on all post-launch product sales. $8,500 in affiliate prizes. Our last launch converted at 10%+ for top affiliates and had EPCs of $5+. Keyword Canine 3.0 JVpage. Dush Ramachandran & Terra Goeres Ramachandran – What’s Your Customer’s Problem?! Posted in Internet Business + Marketing, Joint Venture Announcements	| Tagged Affiliate Marketing, Affiliate Program, Affiliate Program Directory, Affiliate Programs, Attract Affiliates, Attract JV Partners, Best JV Brokers, Blastoo!, Brad Scott, Buzz Builders, Chris X, Cyril ‘Jeet’ Gupta, Dush Ramachandran, Find Affiliates, Find JV Partners, Free Video Training Content Series, Home Business, Internet Marketing, Joint Venture Blogs, Joint Venture Forums, Joint Ventures, JV Announcements, JV Blogs, JV Forums, JV Invite, JV Launch Calendar, JV Product Launch Calendar, JVNewsWatch, JVNotifyPro, JVNP 2.0, JVZoo, Ken O, Launch, Launches, List Fire, Make Money Online, Marketing, Michael Baptiste, New Product Launches, Niche Marketing, Online Business, Phil Benham, Product Launch Calendar, Terra Goeres Ramachandran, Tube Cash Jeet, Video Titan, We Need a Hero!, Work At Home, YouTube channel optimization course, YouTube video optimization course	| Comments Off on Cyril Jeet Gupta + Brad Scott – Tube Cash Jeet Launch Affiliate Program JV Invite, More.